The focus for this exhibition is the urban and suburban landscape in two capital cities, on places where we find evidence of increasing demand and changing expectations of our shared environment. 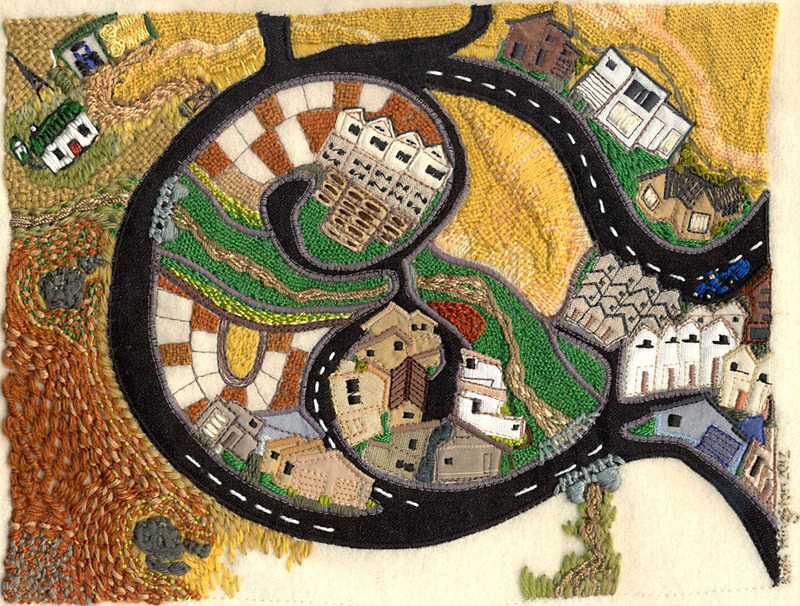 Both artists have responded to the growing human footprint on these landscapes. The setting for this piece is Canberra’s urban and suburban landscape, the places where we find evidence of increasing demand and changing expectations of our shared environment. Ruth has responded to the growing human footprint on this landscape, with a particular focus on the light rail project that is currently being constructed through the centre of Canberra’s inner north suburbs amidst continuing political debates about costs and completion dates. 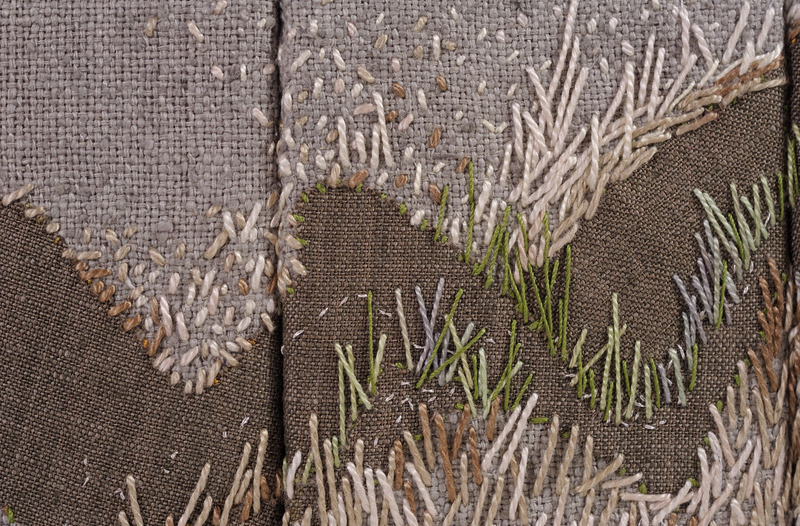 Ruth’s new embroidery work, Frosty Morning, Hospital Creek , is a celebration of her early morning walks along the creek behind Gudgenby’s Ready-Cut Cottage, during her residency in early September 2016. 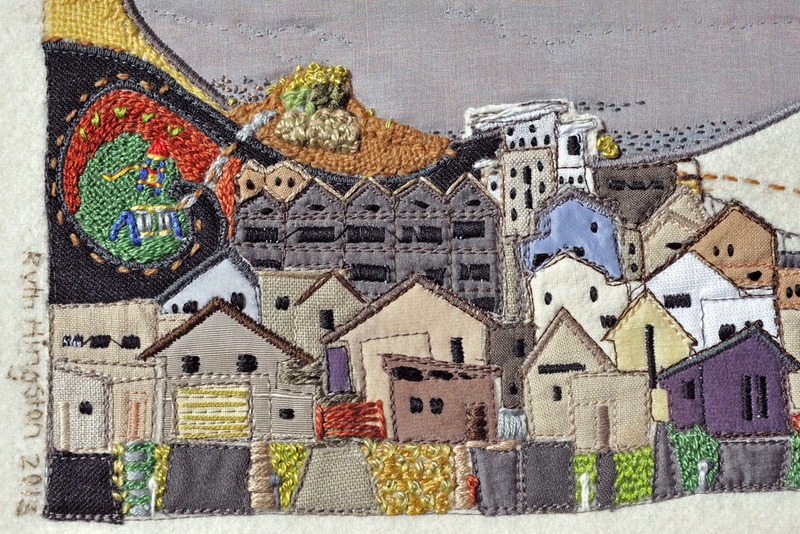 Ruth Hingston never fails to surprise with her inventive use of embroidery. 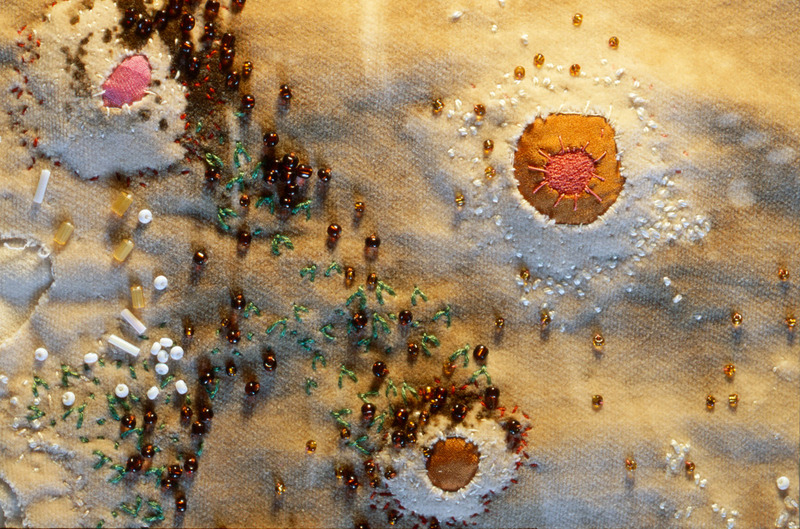 Although in miniature, her very small seven-panelled embroidered screen narrates a vision of a monumental landscape that unfolds in all its delicate and detailed complexity, It is a reminder perhaps of the Japanese aesthetic of suggesting the majesty of nature through a miniature landscape in rocks and sand. The work in this exhibition is the result of a residency at the National Archives of Australia and Namadgi National Park in 2015. This demonstrates the variety and inventiveness of professional artists who live and work in Canberra. 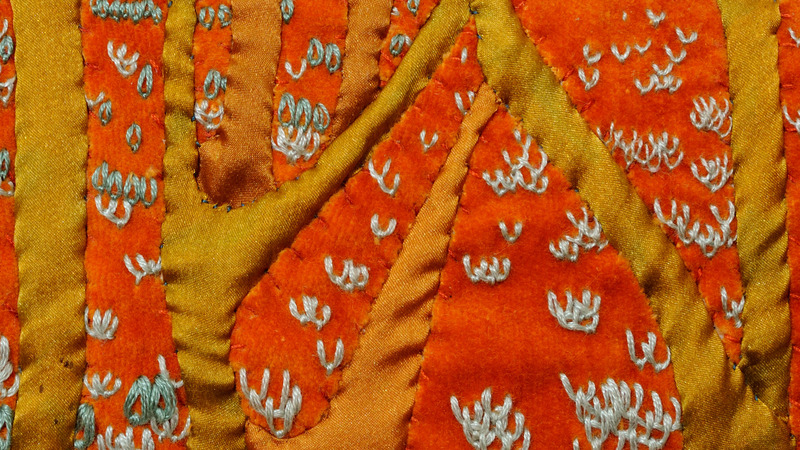 It includes works in a wide range of media, from embroidery to digital animation. Each work in the exhibition draws on material from a local collection of cultural material. 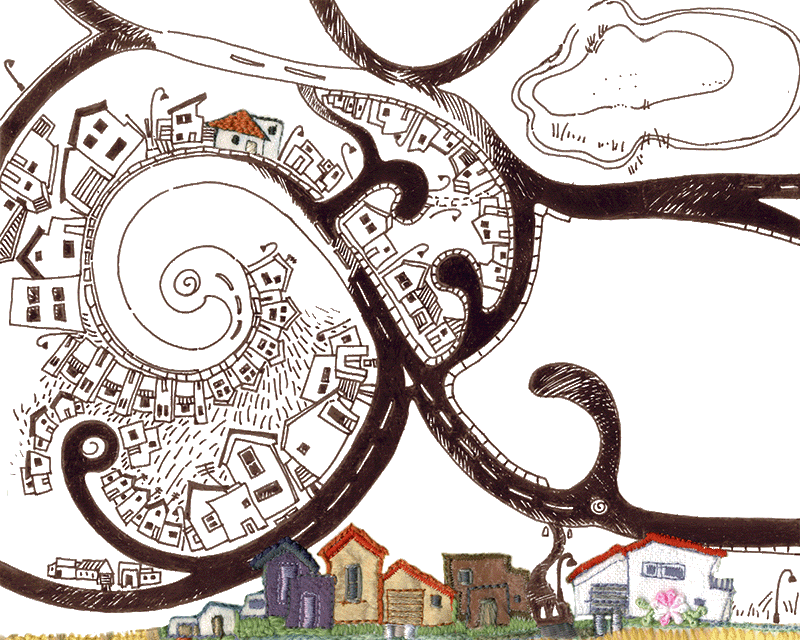 Each celebrates an aspect of the lives and experiences of the real Canberrans, the people who have worked, raised families, played sport, made art and created communities. The signature of Ruth Hingston’s work can be found in her observations about the intricate relationship of people with the landscape. 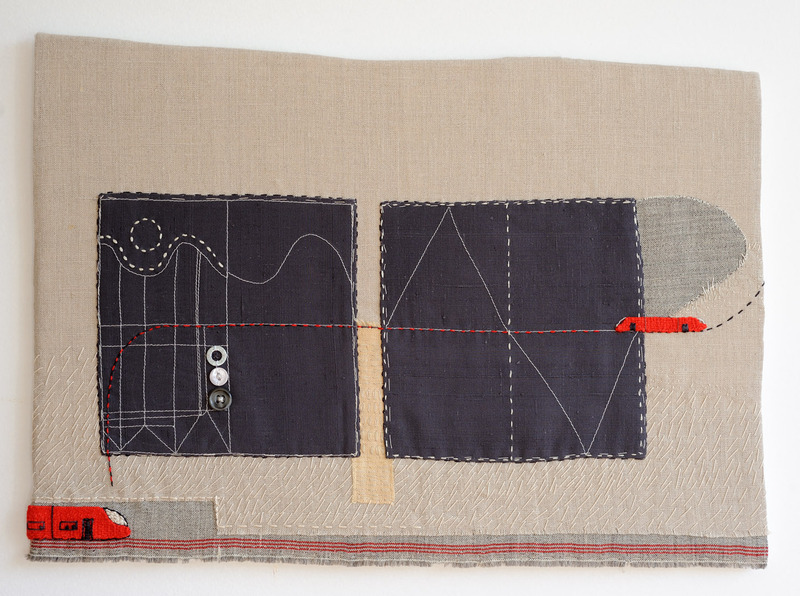 She uses drawing, mixed media and embroidery to reflect upon the perceptions of people in their daily interactions with their immediate environment. 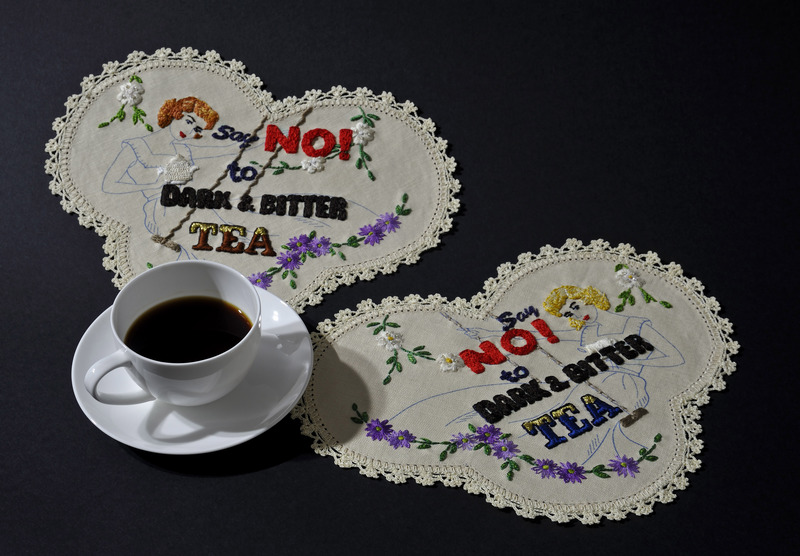 These interactions are unintentionally revealed in the patterns and textures created in the interior and exterior spaces of their domestic settlements. Currently Ruth is exploring Canberra’s emerging northern suburbs as they edge towards the ACT–NSW border. The New Playground is her whimsical response to the transformations she has observed: once sheep grazed in paddocks; then raw suburbs spread across the hillsides; now, slowly, a wonderful playground brings new life to the place. 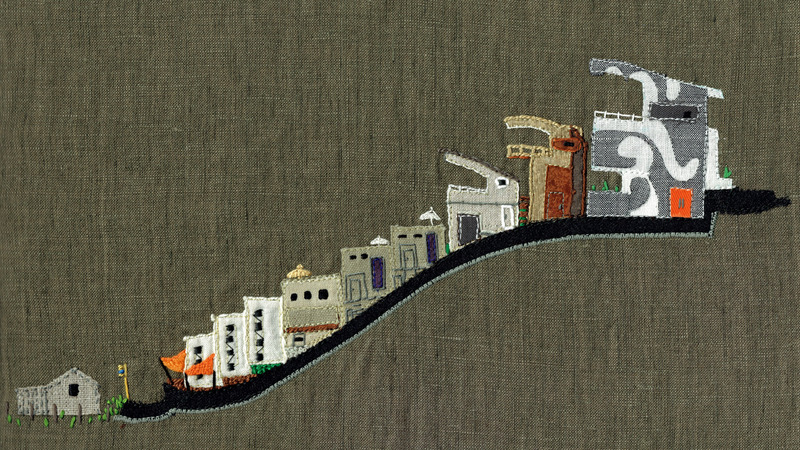 Slow, quirky and very Canberra, Untitled Moments is a digital animation based on embroidery. 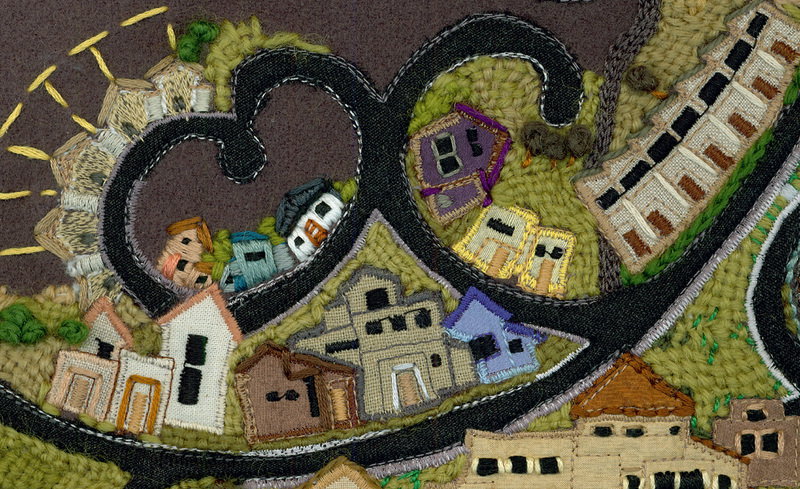 Untitled Moments is a collaborative project exploring the visual impact of embroidery and photography in a digital animation. We’ve used digital technologies to combine images and sound to create narrative fragments—imagined incidents drawn from our observations of Canberra’s most unremarkable moments. 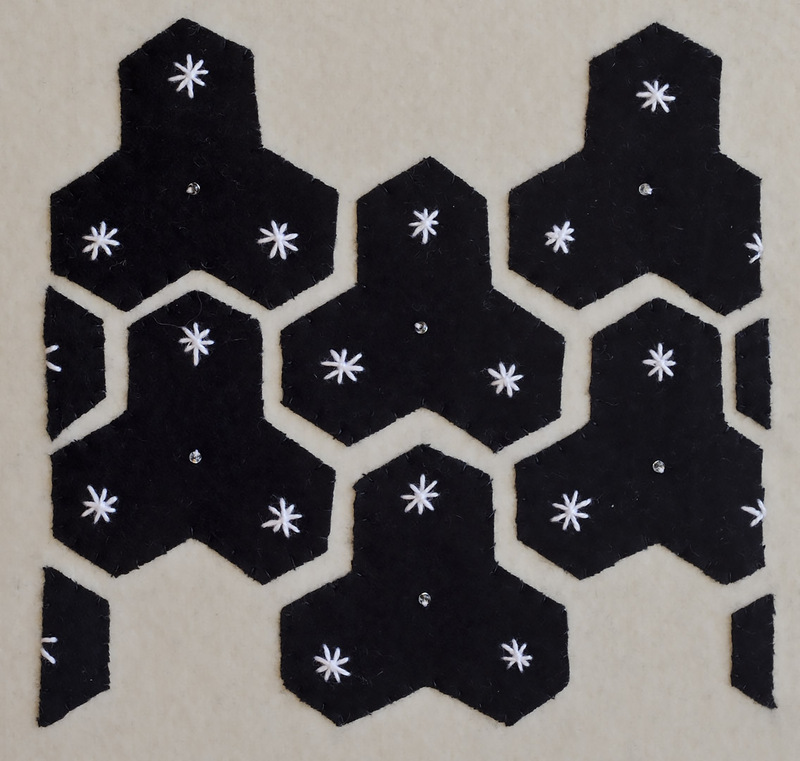 The resulting work does not attempt to mimic cartoons or conventional animations. 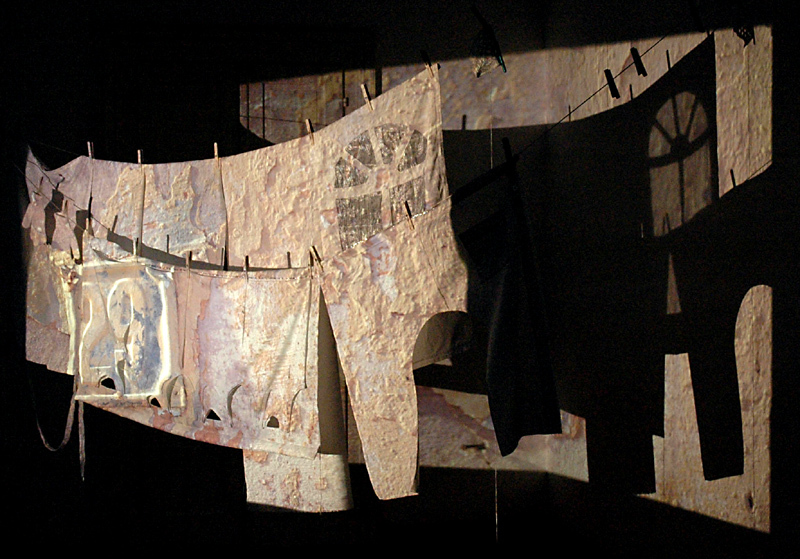 It’s a pastiche, an idiosyncratic mixture of embroidery, drawing, watercolour, photography, scanography, digital animation, field recordings and digitally generated sounds. The final effect is sometimes contemplative, sometimes deliberately cheesy. 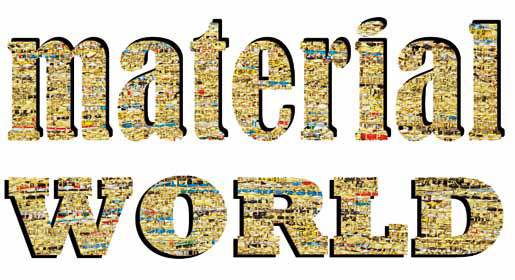 This is an exhibition of works that explore environmentalism through the use of recycled and found materials. These five words sum up my practice, a practice embracing art, design and illustration, a practice that continues to grow and extend with each new idea, direction and creative endeavour. It is building an eclectic body of work—objects, installations, drawings, animations, costumes, illustrations, or whatever does the job. My aim is to produce work that connects people with an idea and offers them a space in which to reflect on their own experience. Collaborations bring new adventures. 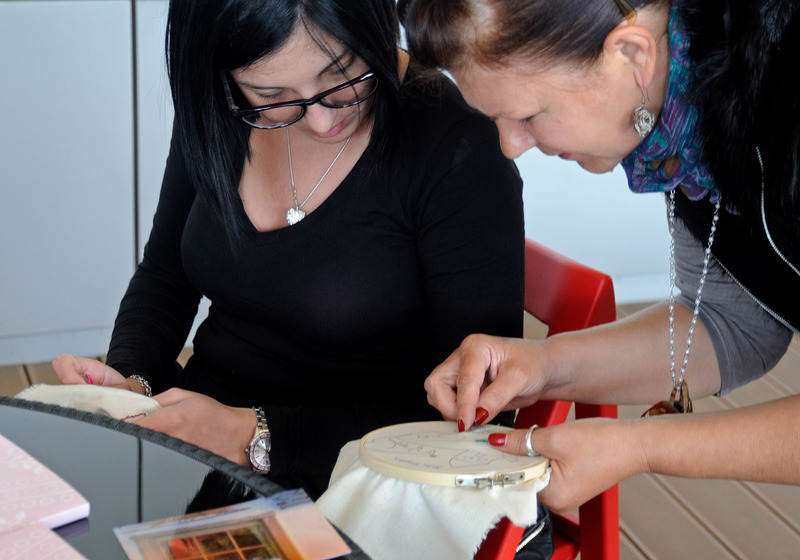 They allow artists to share perspectives, explore ideas, build concepts and generate innovative works. Stretching my imagination like this produces work that speaks on both an aesthetic and a conceptual level—always with a touch of whimsy. 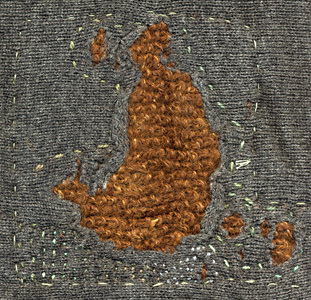 Ruth Hingston darns and embroiders an old worn jumper seeing it as metaphoric of darning and mending the land . 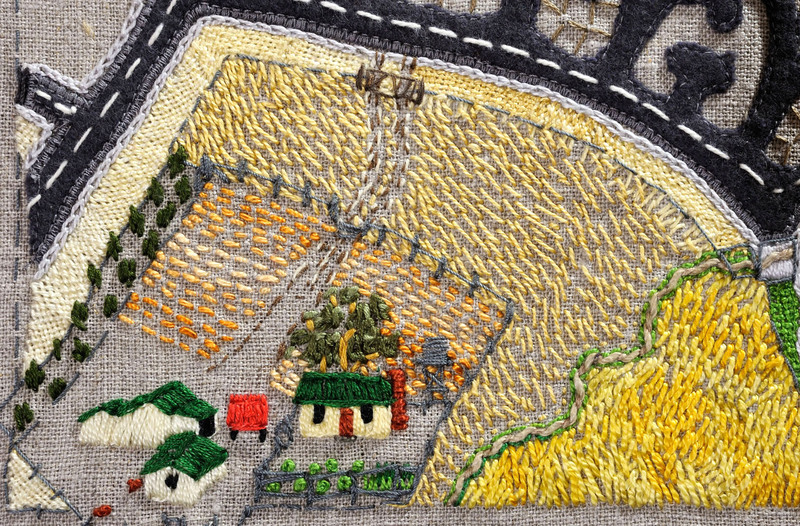 But the jumper is not remade in its original form—not returned to its natural state—a reminder perhaps that sitting lightly on the land in the first place might be the only answer to current ecological dilemmas. 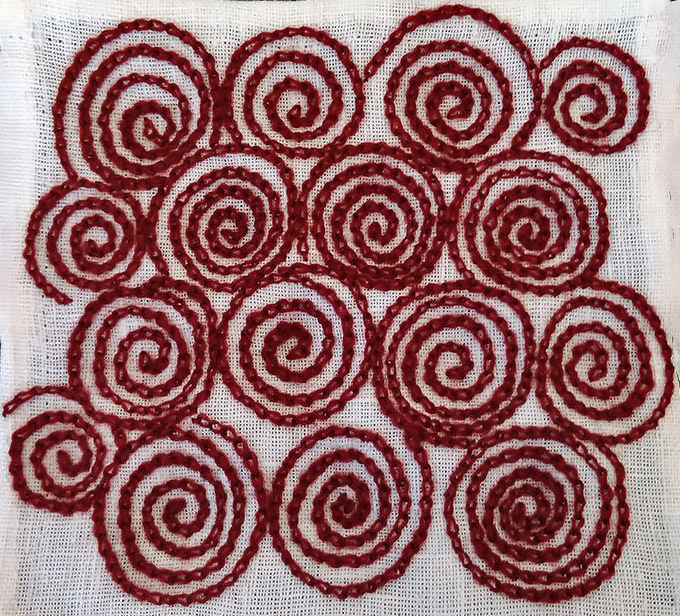 This work is based on the pattern pieces for an Elizabethan corset. It is constructed from cardboard, paper and calico. The surface of the corset is embroidered, quilted and painted in a monochromatic palette indicative of traditional corsetry. The corset is trimmed with pearls and small bows to encourage the viewer to consider the historical references and perceptions of feminine qualities associated with this garment. This page was last updated on 3 July 2018 .